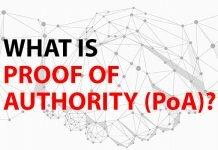 What is Proof of Authority (PoA)? Cryptocurrency is the token or medium of exchange that can be transferred from one user to another in exchange for goods and services because it can hold value. The cryptocurrency data is encrypted and stored on the public ledger whose protocol is continuously in development either with the decentralised core team or a centralised decision making entity. One of the positive consequences of the cryptocurrencies market is that it allows blockchain projects to adapt to diverse industries. 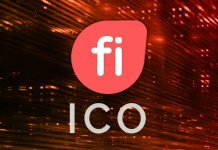 Since the beginning of 2016 ICOs has forayed into various domains and is responsible for the rise of the fourth digital revolution. It is the ‘Tokens’ affiliated in an ICO and the ‘Token-economics’ that sets each ICO apart. The tokens can be intrinsically attached to any real-world thing like a stock, bond, commodity, or perform as a separate currency. A token is a generic unit of quantity registered on any blockchain network. It is fungible and can be transferred from one user to another. ‘Tokens’ in the crypto-market are of two prominent kinds viz Utility Tokens and Security Tokens. 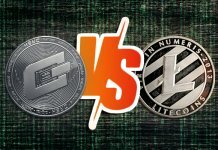 A cryptocurrency whose price depends on the total market capitalisation and supply economics (mining or POS), the number of users and volume of transactions performed by the network is called a Utility token. A security token, on the other hand, is usually pre-mined. The supply-and-demand of the coin is pegged to a real-world commodity whose price is the same as the token’s value. A security token is a true digitalisation of the current valuation of the merchandise, stock or equity in question. The bookkeeping ledger of such a cryptocurrency ensures transparency and the ledger provides security against fraud and theft. Utility tokens are encrypted value registered on a blockchain built to record/perform a specific function. These tokens provide access to service delivered in a blockchain based ecosystem. Wherever there is a blockchain network delivering a service; a token can be created to define the value of service per unit. For example, in a supply-chain management system, the tokens can be assigned to be the value of the total network divided by the total supply. It can also be used to transfer data and amount ubiquitously across the network. Hence, tracking, shipping details and product details etc. 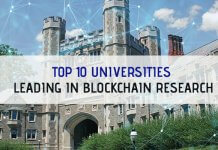 can be recorded on the blockchain and updated continuously. The payment from one user to another can be paid in the token. Likewise, the services on the blockchain network can facilitate a variety of industries specifically like the payment industry, healthcare service, global remittance, content sharing business, intellectual property protection and so on. Bitcoins value comes from its capacity to be exchanged for some service; it is a payment and value storing system. It is a utility token none the less which imitates the commercial properties of Gold. The network has grown over the past ten years, and it is used globally to exchange value and is deflationary. 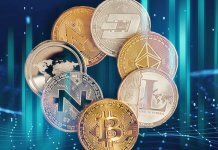 The cryptocurrency’s popularity and increased adoption and usability will increase its demand, and hence the price goes up just like any other fiat currency whose rate is dependent on global demand and supply. The fiat currencies are, however, backed by the federal reserve of a country and is regulated by the Central Banks. The ICO (Initial Coin Offering) of these cryptocurrencies is where the economic problem arises against the public release of these ‘tokens’. 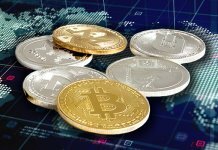 The cryptocurrency market has been riddled with ICO scams and non-performing blockchain projects. Even the ethical ones have often failed to deliver their promise due to unforeseen circumstances and business failure. According to Coinschedule, out of the 700+ ICOs released in 2018 alone only 8% of them turned out successful and got listed on popular exchanges. EOS, Ardor, Telegram, Petro and Huobi are some of them. Today, we have more than anticipated amounts of these utility tokens. 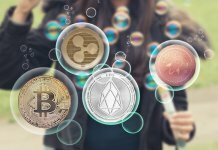 A vast majority are not even listed on reference sites like coinmarketcap.com as new ones are created every day. OmiseGo (OMG) is valued at $2.66 with a total market capitalisation of $400 million. This Ethereum token (ERC20) aims to be a decentralised exchange protocol, allowing transactions between different decentralised applications based on Ethereum, thus replacing the banks. Tron (TRX) is a utility token that just partnered with BitTorrent to build a niche for content sharing online. The creator and seeders (distributors) of the content can be paid in Tron currency. The value of this independent, decentralised platform will break the shackles of a centralised system where only a few big companies have created a monopoly and also deter piracy. The Jetcoin (JET) is valued at only $2 million (1000x less than OMG). Its only role is to liquidate the Intellectual Property of the athletes and to allow the owners of Jetcoins to sponsor them in the early stages of their career and obtain rewards in JET or the form of private events, unique merchandising etc. Hence, utility tokens find its use in any particular environment. 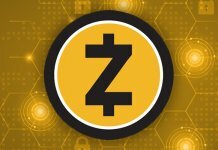 It can be designed to suit its need like privacy, total supply, distribution and transaction protocol. They represent a fixed asset of some kind. For, e.g., A share in a company or a house. And as their name suggests, Security Tokens are regulated by federal securities and regulations. Alternatively, any Token that meets the requirement of the Howey Test is known as a Security Token. To begin with, Security tokens represent a large part of where the Blockchain industry is heading today. 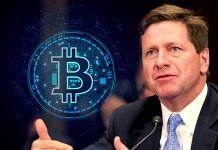 The SEC regulates security tokens in the US or the specific Securities control board of a nation. This reduces the percentage of risk in investing in blockchain related projects. The Security tokens can be used to attract and facilitate investors from all over the world. 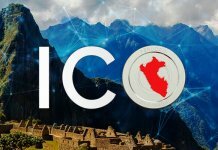 E.g., citizens of one country will be able to buy bonds issued in another country through secure blockchain protocols. Security tokenisation is a sound system and enables liquidity; it allows trillions of dollars in various forms of capital. Digitising of real securities and real assets are expected from the Securitized tokens. A real life example would be of The Wall Street where trillions of dollars are invested which can be brought on the blockchain. There are a few Security tokens in the market like BCap (Blockchain Capital) for instance, and the fact the Public Trading companies are looking at Security Tokens as a means to offer liquidity to investors is a revolutionary aspect. Polymath is an ERC20 token that aims to be a security token platform. The platform has initiated a new standard security token: St-20. Polymath’s St-20 token standard makes the process of creating and investing in security tokens a child’s play. The Invictus Hyperion Fund is the perfect product for the discerning investor. 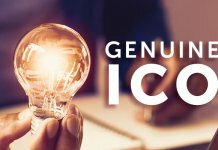 The Hyperion Fund offers many benefits to investors who want a return on their investment by investing in an ICO, but do not have the time or energy to research the hundreds of ICOs that take place at a time. T. Owning a single IHF Token, the Hyperion Fund Token, allows the investor to be exposed to a portfolio of professionally managed investments in a blockchain. 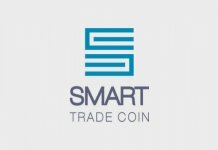 The tokens will be traded on the stock markets, which will enable investors to have access to cash, to transfer and store their tokens as they see fit. An STO (Security Token Offering) is an ICO equivalent for Security Tokens where the transfer of securities are recorded on the blockchain. In the Security Token market industry, although in the present scenario STOs are facing few challenges to move ahead owing to little support from custodians, Government, private companies, investors stuck with lack of infrastructure. However, Stellar and other decentralised exchange platforms are providing provisions for an STO (Security Token Offering). These offerings will be regulated by the financial authorities and clearing houses. The development of these platforms and provisions will eventually benefit the economy as transparency will deter centralised corruption and blockchain will ensure sincere payments. Inside Cryptocoins is a leading digital media and information service provider for crypto asset and blockchain technology community, circulating in-depth information, data, and understanding about cryptocurrencies, the fintech industry, Blockchain technology, and Bitcoin. It is a one-stop source for all the latest news and updates across the globe.